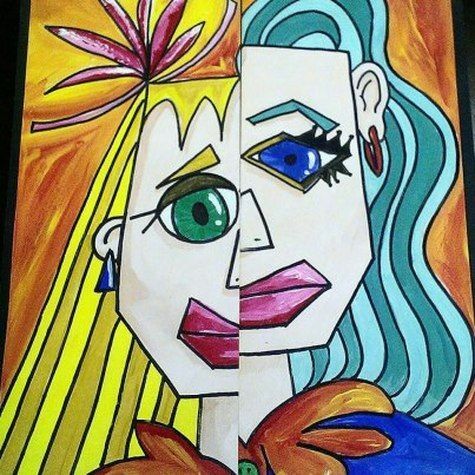 Gostaria de saber qual o nome dessa obra de arte de Pablo Picasso? Are you interested in using this image for your website, your communication, or to sell prints? You may acquire a licence based on your usage, you will be able to download the image immediately after your payment. Using the image on a website or on the internet. Using the image for media prints and documents. Using the image for manufactured goods intended for sale. All images on Artmajeur are original works of art created by artists, all rights are strictly reserved. The acquisition of a license gives the right to use or exploit the image under the terms of the license. It is possible to make minor modifications such as reframing, or refocusing the image so that it fits perfectly to a project, however, it is forbidden to make any modification that would be likely to harm the original work In its integrity (modification of shapes, distortions, cutting, change of colors, addition of elements etc ...), unless a written authorization is obtained beforehand from the artist. If your usage is not covered by our standard licences, please contact us for a custom licence.